I chatted about trying the big fig mattress on Snapchat and people are so interested in my review. Sorry for the delay, I got mattress right around theCURVYcon time, so I wasn't home to sleep on it. Since that time, I've probably gotten a good 90-120 days sleeping on the Big Fig Mattress. In all honesty, I feel like you need that much time to review a mattress anyway. Before I had the Big Fig mattress, I was sleeping on the Tempurpedic memory foam mattress. I had the mattress for about six years and loved the way it felt, but my back did not love the way that mattress felt. The last six months of me sleeping on that mattress my back was burning every morning that I woke up. The mattress is good until you wear in certain spots and they become too soft. 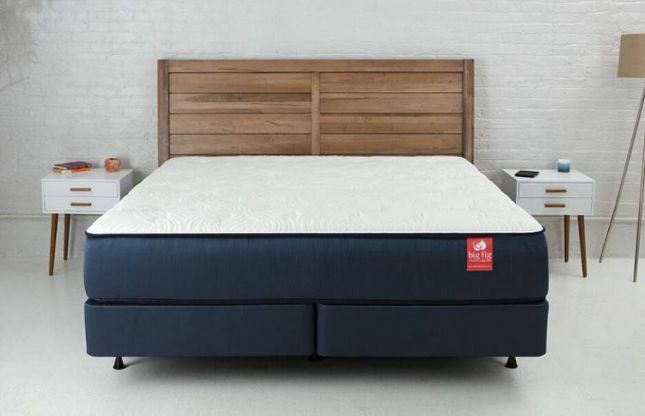 I love a soft mattress, but realistically, I need to be sleeping on a much firmer mattress. The big fig mattress is a lot firmer. Since I've been sleeping on it, my back hasn't hurt in the morning. Win! My Tempurpedic also slept very hot. I noticed being much cooler in bed at night. I'm not a person that can sleep when I am hot. I also didn't run the air as cold at night to sleep. The mattress company boasts that their bed, box spring, and railings can hold up to 5000 pounds. Now, I have messed up some box springs in my day. They usually end up sinking in around where my derierre rests. So far so good. Even if you didn't go with the mattress, I would recommend the box spring if you've ever had issues with one withstanding your weight. I know I've killed at least two box springs. I love that the bed sits high. You can select which height in box spring you want. I've always wanted a high bed so I got the tallest box spring for height. I do a tuck and roll to get in the bed. HA! There's not anything I didn't like about the bed, but I do miss a soft mattress even though it's not good for my back. Soft mattress lovers make sure you know that the bed is firm. My husband is a soft mattress lover as well, but his back was killing him. His back is also fairing much better on the Big Fig Mattress. Disclaimer: I was not paid to review, but received a complimentary mattress, boxspring, and railings from Big Fig.